Game day driving at the Canadian Tire Centre just got better! With a designated Uber Zone for pickups and dropoffs, it's easy for drivers to cash in on the action. When driving passengers to the Canadian Tire Centre, head to the main entrance (Gate 1) on Frank Finnigan Way to drop off your riders. The Uber Zone is located in Lot 8. exit the 417 at Terry Fox Drive, turn right on Palladium Drive, then turn right onto Cyclone Taylor Blvd. 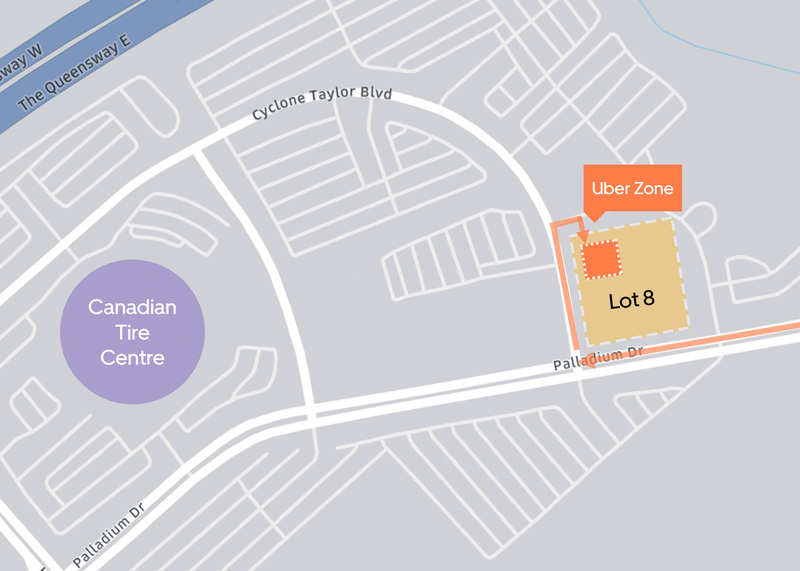 You can enter the Uber Zone off of Cyclone Taylor Blvd, via the north west corner of the lot. Once the game ends, your rider will meet you in Lot 8. After picking up your rider, please exit Lot 8 and follow traffic officers' instructions. We’ve teamed up with the Ottawa Senators™ to help hockey fans ride responsibly on game night.